There is a wide variety of accommodation in Istria. Visitors can choose from 5-star luxury accommodation, resort-style accommodation to campsites and everything in between: small and family run hotels, big hotels, apartments and residence, cottages, caravan parks, campsites and holiday rentals. Istria is Croatia's top tourist region visited by almost 3.0 millions people every year. If you are planning on visiting in peak periods (July, August), you better make sure to book your accommodation in Istria well in advance. This way you will be able to choose accommodation in Istria according to your likes and also you should not overpay for it. 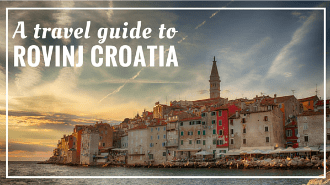 Hotels regularly change their prices as the demand grows and if you wait too long you might end up paying your accommodation in Istria way too much. Big hotels in Istria, you will find in the seaside resorts like Porec, Rovinj, Pula or Umag. These hotels offer generally a good value for money, but at the end of the day they are not different than any other hotel found anywhere in the world: half-board accommodation with fixed breakfast and dinner hours, hotel buffets, lousy entertainment, funny bedspreads and bland artwork. Most of these big hotels appeal to families for their summer holidays. Although, among them, you can also find some that are trying a bit harder to differentiate themselves from typical summer fun: hotel Monte Mulini in Rovinj deserves a credit as well as Valamar Riviera Hotel & Residence in Porec, and Melia Istrian Villas in Umag, to mention few. Small family run hotels are recently taking stage in Istria. 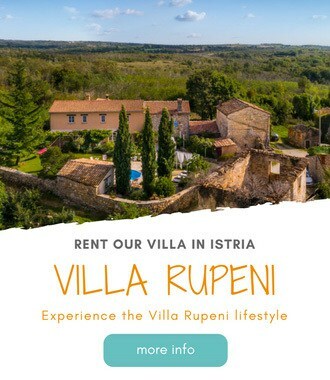 State has taken some action in marketing these accommodation in Istria, and encouraging people to convert their properties into small hotels. These hotels are distinguished by personalized service and unique appeal. Many of them reflect tradition of the area where they are built. Many small family run hotels in Istria feature fine dining restaurant. Frank's picks would be Hotel & Restaurant San Rocco in Brtonigla, Hotel Valsabbion in Pula (unfortunately, they have closed their fine dining restaurant of the same name), and Hotel Vela Vrata in Buzet. In Istria there are beautiful villas to rent, either old restored villas or brand new. Villas are in Frank's opinion one of the best holiday accommodation in Istria. Most of the villas are located in tranquil setting of small villages, many are secluded and almost all of them feature an outside swimming pool. Villas are self-catered, but with an option to hire full staff or live-in staff, should you wish. Frank stayed at Casa Luigi & Casa Luisa in Bezjaki. And it was amazing. He rented the villa over the weekend with some friends. At the time of booking, they also arranged all their meals. Owners would come in the morning to prepare and serve breakfast, and they would agree upon lunch and dinner menu for that day. Food was excellent. The owners very nice and accommodating. And the place is very nice with a big swimming pool and beautiful views over Motovun. Excellent experience! Self-catering apartments are really good choice of your holiday accommodation in Istria. And please, if you like to stay at your host's house, and possibly get to know better Croatian way of living, than try to really stay with Croatian family. Frank has nothing against foreigners who bought property in Croatia as their second home or investment, and now they rent it out. There are some great rental properties own and managed by foreigners. And people are probably spending a great holiday there with excellent hosts. But many foreign owned properties are run by property managers, and you never get to meet the owners. And not always, but most of the time you will pay much higher price renting from the foreigners than Croatians themselves. So people, get it right – Croatians are nice hosts. They will not be in your backyard checking if you left the door open while the A/C is running. They will not bother you with talking to you if you don't like to socialize. But they will be at your service should you need them. Try to phone a foreign property owner that is a thousand miles away when you have any issues in Croatia, while renting his/ her property. He will, in the best case, point you to his/her property manager. Who will help you at regular charge if you have a problem within working hours, if a problem occurs out of working hours, the charge will go up. So please, try to explain to Frank, why are you rather renting foreign owned property in Croatia? It is more expensive. The service is worse. You will never see your host, so you can as well go to the hotel. And it is an additional income they work on – for most of the Croatians it is their only source of income. Do you want to help local economy? Than rent with local family. But compared with North-American campsites, European campsites dispose of really small plots – at best 120 m2, but more often smaller than that. Generally Istrian campsites are really nice and well maintained. They are all by the sea with some plots at the very seafront. Investment wise, Istrian campsites follow directions and recommendations of German Automobile Club ADAC in service and facilities standard. The largest campsites and past and present owners of prestige ADAC Award are campsites Park Umag, Lanterna and Bijela Uvala.